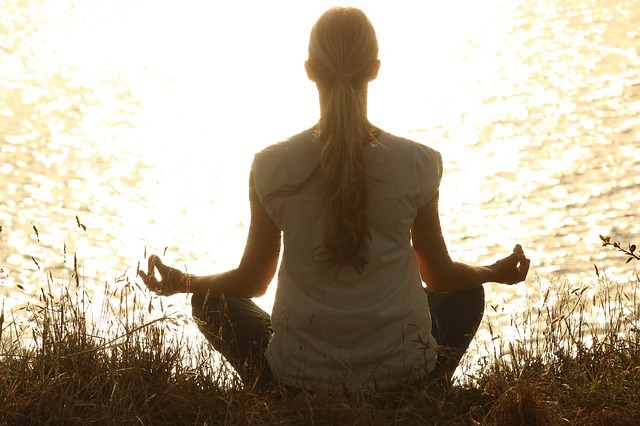 You may find that mindfulness meditation is relatively simple to learn. The fundamental process is drawing awareness to your breath and being mindful of wandering thoughts. However, various factors may affect your progress in the practice and the health benefits that you’re getting from it. One often factor that determines the quality of your meditation practice is the time that you meditate. You may have read some articles regarding this and in a sense, I agree that the time you picked for meditation matters. However, my opinion on what is the best time to meditate may differ from others. I’ve always loved the analogy of mindfulness meditation to working out on in the gym. If running on the treads is about building your physical stamina, mindfulness meditation is about training your mental fitness. The process of drawing your awareness to your breath, losing your thoughts as your mind wanders and bringing it back to the breath can be mentally exhausting. After all, you’re subjecting your mind to a behavior it is not accustomed to. It is not surprising if you feel mentally exhausted rather than refreshed during the first few weeks of your meditation practice. It’s like how your abs are aching in the first few days of doing planks to build the six packs. You’ll like to pick the right time to meditate, just like choosing the best time of the day to work out. Meditation can be rather unproductive if you choose the wrong moment for the practice. In some cases, you may end up getting frustrated or having drifting away to sleep in your meditation. Your experience with mindfulness meditation may feel different when you practice at a different time of the day. Here’s a glimpse into that. Most meditation articles would suggest that morning is the best time to meditate. Generally, your mind would feel refreshed when you have a restful sleep. In most cases, your mind will still be free from the onslaughts of worries or chores that could make it hard to focus and meditate. There are, of course, exceptions to this suggestion. If you’re short of quality sleep, you may wake up feeling sluggish and irritated. With a dull mind, meditation can be pretty hard, especially for beginners. It’s almost impossible to draw your focus to your breathing. If that’s the case, the best option for you is to get some rest, instead of meditating. In the middle of the day, your mind would probably be fresh and active. You may be busy with your chores or juggling the various projects at work. Taking a break during lunch time for meditation can be fruitful or it can backfire. A great variable for meditation during lunch time is whether you are meditating before or after your meal. If you’re starved, you’ll find that your mind wouldn’t cooperate when you’re getting it to be mindful of breathing. On the other hand, meditating after on a full tummy wouldn’t lead you to any blissful experience, except sleep itself. If you’re planning to meditate after lunch, ensure that you’re not taking a heavy meal, or do allows some time for the food to digest until you don’t feel drowsy before you meditate. It all comes down to juggling your meal time and meditation so that one does not affect the other. When you’re ready to finish off the day and relax, meditation can be the one thing you want to do in the evening. In a way, it helps your mind to calm down and get the rest it needed. If you have a problem with carrying your working mindset back to your home, meditation is a great way to leave your work at the doorstep. As your body may tire out physically after a long day, you need to pay extra attention to your mental fatigue as you meditate. Sometimes, you may struggle to focus because your mind craves for a 5 minutes nap. Do not force yourself to meditate if a power nap is what you needed. Some articles suggest that it is not recommended to meditate before bedtime. For me, this is a yes and no situation. When you’re longing for sleep and you try to meditate, it wouldn’t be a productive session. Chances are, you may be woken up by your own snore or falling asleep in a sitting position. The only time I would recommend to try meditation before bedtime is when you’re having problems falling asleep. Rather than counting sheep, meditation helps you to draw your mind to a focal point. In a way, it helps your mind from losing itself in negative thoughts and making sleep remain elusive. I’ve personally tried mindfulness meditation when I struggle with sleep. I always drifted away into sleep before I knew it. Again, if you follow blindly to the many advice that asks you to meditate when stressed, you may end up trapped in vicious cycle of negative thoughts. It’s not that meditation doesn’t work for stressful situations. The problem lies in beginners who tried to meditate alone when they are overwhelmed by stress or anxiety. Until you mastered mindfulness meditation that you’re able to meditate comfortably alone, and being aware of breathing and wandering thoughts, you should meditate with guidance during a stressful scenario. This can be in the form of guided meditation app or under the watchful eye of a meditation teacher. Meditating when you’re stressed can be very effective, but only when practiced in the right way. 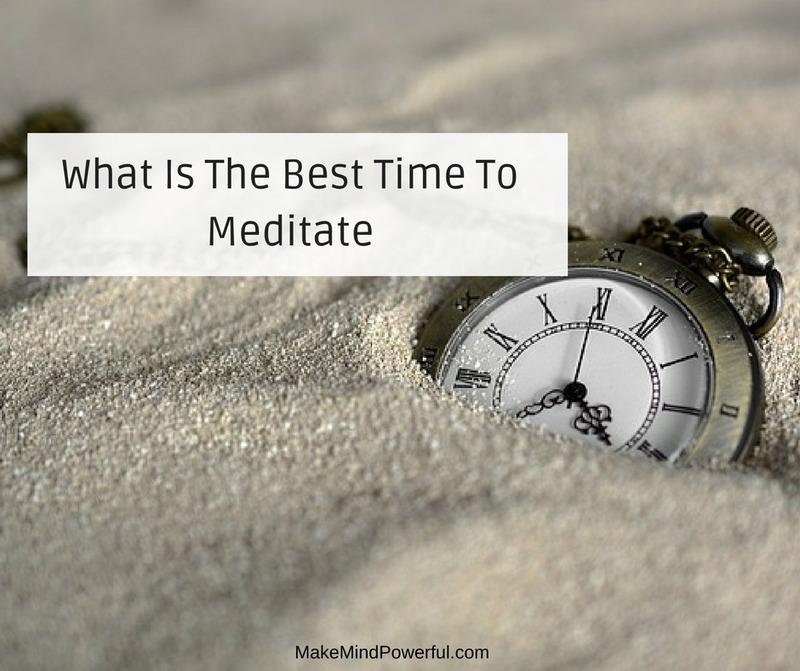 What’s your favorite time to meditate? Do you feel refreshed after your daily meditation routine? Share your thoughts in the comment below.